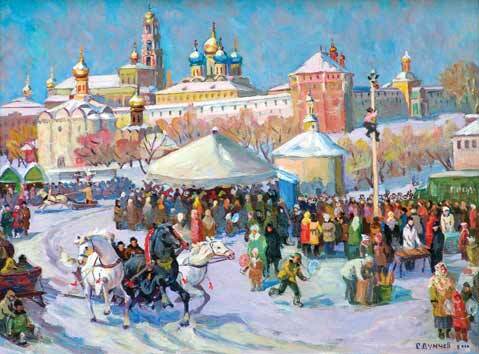 Buy works – Dunchev Sergey Yackovlevich | (1916, Baku – 2004, Sergiev-Posad). Dunchev Sergey Yackovlevich (1916, Baku – 2004, Sergiev-Posad). In 1939 graduated from AGHU, Arts Department. Member of Russian Union of Artists since 1947. Since 1944 worked in the Sergiev Posad Artists Companionship. S.Y. Dunchev is a repeated participant of All-Russia, zonal and regional exhibitions. 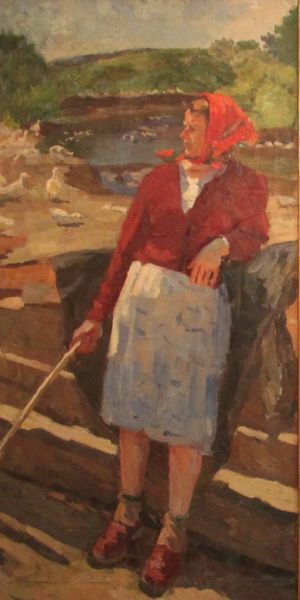 The works of the artist are exhibited in many regional museums, as well as in private collections in Russia and abroad. 2200 - 2600 rub. 2200 - 2600 rub. 3000 - 3800 rub. 3000 - 3800 rub. Portrait of pioneer Tolja Titov. Sketch for "To the school" picture". 360 000-450 000 rub. 360 000-450 000 rub. Lenin’s speech at the meeting. 18000 - 20000 rub. 18000 - 20000 rub. Portrait of V. I. Lenin. 3500 - 5000 rub. 3500 - 5000 rub.